When we first moved into our house, back in April 1998, one of the first things we did was plant a garden. The garden that year flourished and we enjoyed tomatoes, cucumbers, and peppers for months. No, this is not MY vegetable garden. I wish! For some reason, our garden has never done quite as well as it did that first year. Our little home was 20 years old when we bought her. Like her owners, our house (inside AND outside) has aged quite a bit in the last 14 years. I look at pictures of beautiful, well kept and well decorated homes with vibrant, productive gardens and wish that I knew how to turn my own house into a work of art. But no matter how many trips we make the the Home Depot, how many seeds we buy, or how many new pictures we purchase to hang on the walls, it’s clear that I need some outside help. Better Homes and Gardens Real Estate Canada (BHGREC) just launched the Make Your Home and Garden Even Better Sweepstakes! BHGREC came into the Canadian Real Estate market in October 2011, and have already taken the Canadian real estate world by storm. 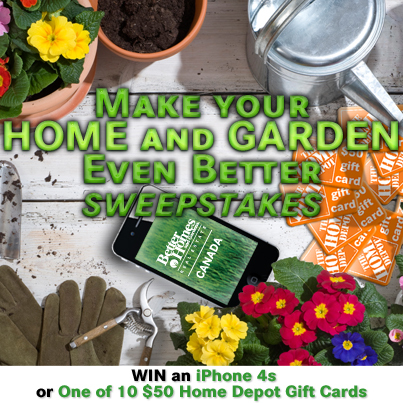 BHGREC is giving away a new iPhone 4S and 10 individual Home Depot cards worth $50 each. To participate in the sweepstakes, sign up through the Facebook App at facebook.com/bhgcanada. The Make Your Home and Garden Even Better Contest is available only on Facebook and ONLY for residents of Canada from May 8th to May 30th (ends at 11:59pm). Tell your friends from Canada all about it! Please note: This is a sponsored post and I am in no way involved in the sweepstakes or selection of winners. All thoughts are my own. © 2012, Food Fun Family. All rights reserved. I wish we had enough sun for a garden. We tried a garden and well, it just didn’t work out…. Like Carrie, I’d love to have fresh herbs to cook with. 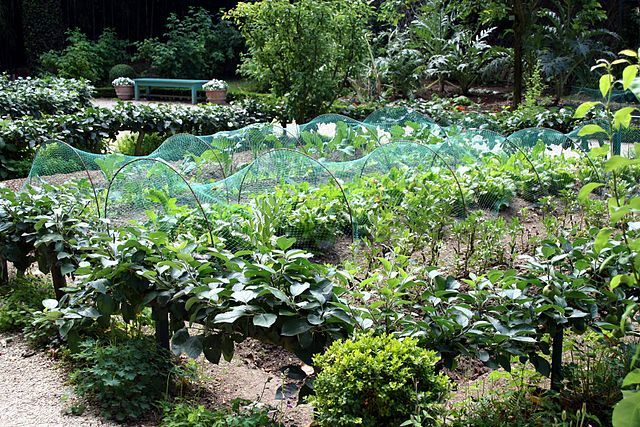 We have always talked about having a garden in our backyard, but have never tried it. I’d love to have some fresh herbs we could use with cooking! I could definitely use some help getting it going in the right direction!